Doors and South Atlantic, a profound discovery, diversity constant, variations and contrasts. DAY1. 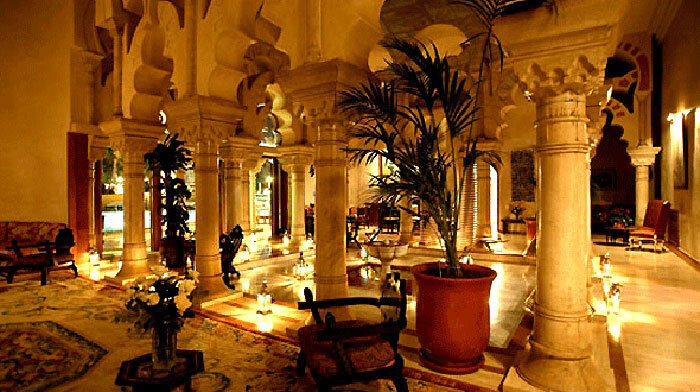 FRANCE / MARRAKECH: On arrival, reception and transfer and transfer to hotel. Overnight in Hotel. Founded in 1062, Marrakech, the second oldest imperial city of Morocco, remains today the most extraordinary capital of the south and the best witness to the rich culture and history of the country. His monument that you will be pleased to discover, such as the Koutoubia, the Bahia Palace, the Saadians, testify to a glorious past. Day 2. MARRAKECH: Breakfast at the hotel, visit the Marrakech Koutoubia Mosque and Booksellers, built in the XII "s. by Zef third ruler of the Berber dynasty that ruled in Morocco, it was completed by his son Yacoub Al Mansour small . At a height of 77m, the origin of its name comes from Arabic meaning Kutub Manuscripts. Indeed, his feet stood the biggest souk to booksellers and the Museum of Arts and Traditions. The palace El Bahia built on eight hectares, for fifteen years in the late 19th century by Ba Ahmed Ben Moussa, Grand Vizier of the King Hassan 'and King Moulay Abdelaziz, we discover the turning of a maze of corridors and stairs, the apartments of four wives and countless concubines in the harem, where once were outside that blind musicians eunuchs and servants. Discover the gardens of Menara pavilion where the focus in its perfect proportions still waters of its basin . Lunch. Continuation of the Djemaa El Fna with carts full of oranges and roasted seeds. Women from the Anti-Atlas to sell their baskets, storytellers, musicians, dancers, scribes in front of their black umbrella, fortune tellers, sellers of pumpkins, healers, apothecaries offer the amazing spectacle of a day like any other. Discovery of the souks and walk through the maze of streets protected from the sun by lathing. Scents of saffron, cumin, black pepper, ginger, lemongrass, cloves, orange blossoms delight the nose. Bags of almonds, peanuts, chickpeas, baskets of dates, barrels of olives, and on the shelves of apothecaries, pots of henna, ghassoul, vials of extracts of rose, jasmine, mint, kohl, pieces of amber and musk ... The copper souk where coppersmiths hammer metal, wool souk Laghzal spent in El Batna, the skins of sheep, or the souk Zarbia, at auction, carpets and caftans sold to the highest bidder. Accommodation and dinner and overnight at Hotel. Day 3. MARRAKECH / ASNI / OUIRGANE / Ouled Berhil: Breakfast starting 4x4sur Toubkal in the foothills of the valley of Asni until Tizi-n-test, imposing belvedere overlooking the plain of Souss, mountainous road that leads to Tinmel mosque built in the 14 century and World Heritage Site by Unesco. route.Installation during lunch Dinner and overnight at your Hotel. Day 4. Ouled Berhil / Taroudant / TAFRAOUTE: Breakfast, Tour of wall in "Little Marrakech" surrounded by gardens, eucalyptus, olive, pomegranate and palm trees, attracting curious tourists with an authentic Morocco and history, from searching the sweetness of the Berber way of life. starting from the tarmac road towards the Anti Atlas and Ighrem to discover Berber villages and the valley of almond trees. After Ighrem we take a trail through the valley of Tazagzaoute with its procession of palms. Lunch. 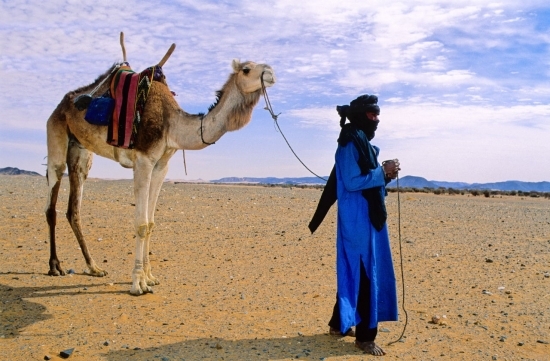 Arrive Tafraoute in the late afternoon is a region renowned for its spectacular mountain scenery: pink granite rocks, small valleys and plantations of date palms, argan trees and almond trees. Some rocks are true emblems: you can not miss the amazing rock formation of the "hat painted rocks and all the site Tafraout where palm trees are silhouetted in the pink granite of a mountain cirque strange and grandiose. Overnight your Hotel. Day5. TAFRAOUTE / Amtoudi / TAFNIDILT: Breakfast, Discovery site Kerdous with its amazing cliffs and gorges of Ait Mansour with its entrance lined with palm trees and Lauree. 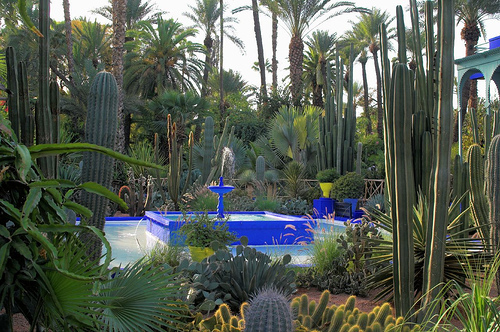 Arrive Amtoudi, a real Garden of Eden surrounded by a desert mountain landscape. It is a kind of oasis on the outskirts of désert.Déjeuner. 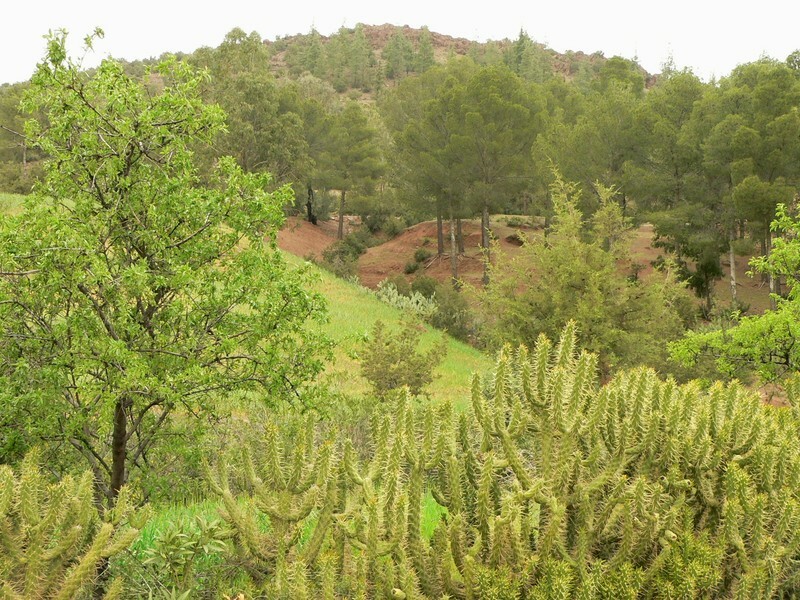 Continue to the kasbah and Guelmine Tafnidilt carrying building "in the middle of nowhere" will reveal a region of magnificent rocky landscapes with a thousand colors. Dinner and overnight at the hotel. Day 6. 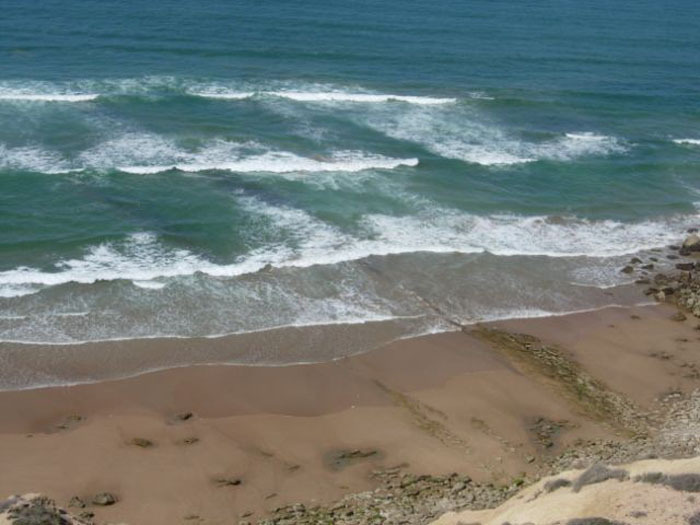 TAFNIDILT / DESERT AND SEA / AGADIR: A morning exceptional "another world" Track-at-times rocky and sandy takes us along the ocean or a few nomadic fishermen engaged in fishing is the top line of impressive cliffs. 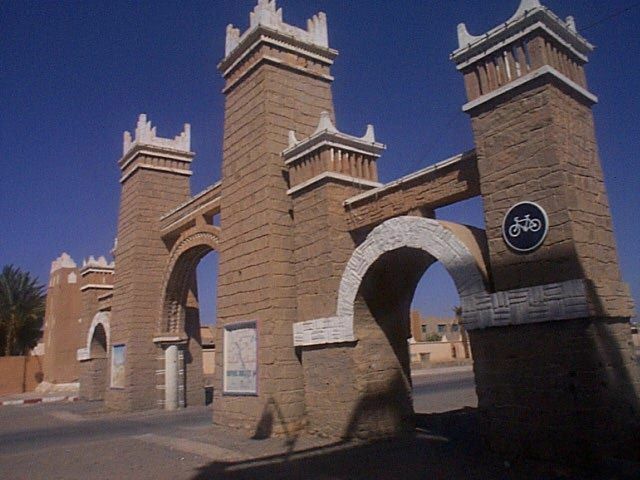 Discovery of the ruins of Fort Aoreora or the dunes of sand flowing into the sea, then we will join for lunch Guelmim. Continue to Agadir. Dinner and overnight at your hotel. Day 7. 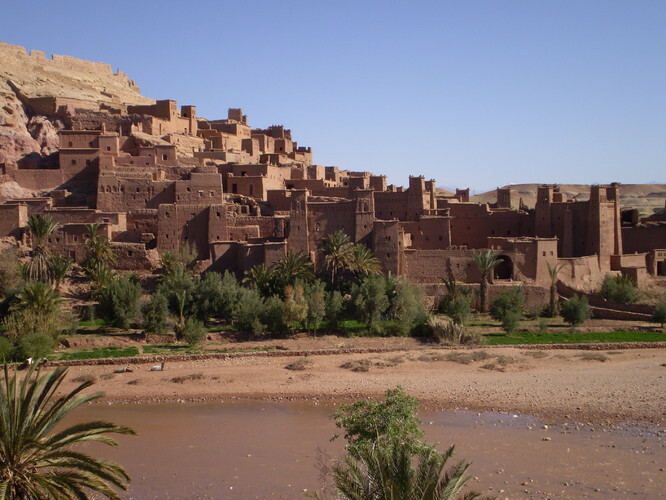 AGADIR / MARRAKECH: Breakfast, Orientation tour of the city, Agadir is a city in a vast bay with a beautiful golden sand beach, and the fertile plain of Souss and a back-country gives the city a charm. 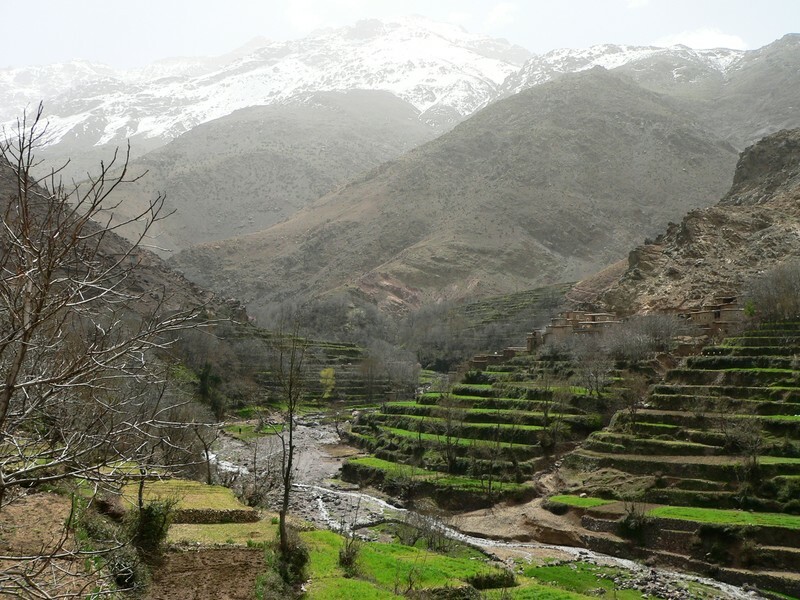 Ideal base for exploring the High Atlas Mountains, Morocco. 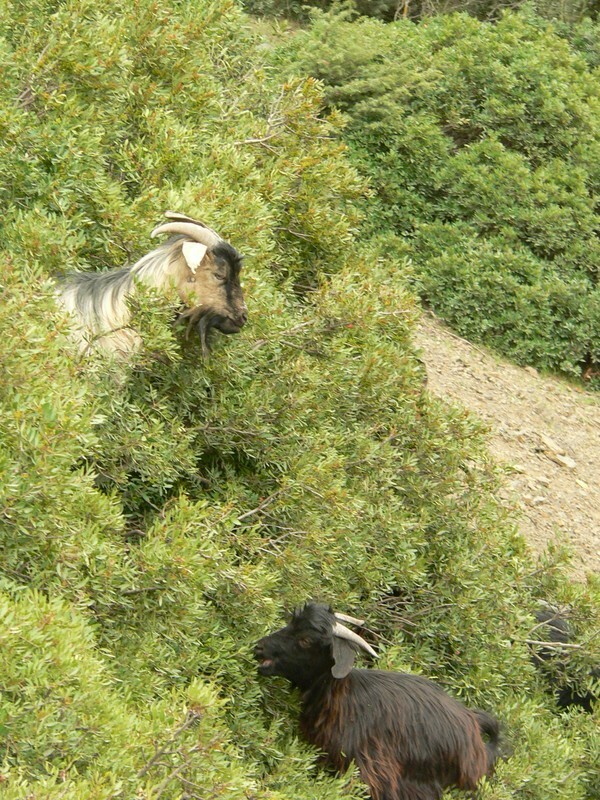 The southwest of Morocco is a land of contrasts: Several worlds range from the modern resort and hinterland. Road to Marrakech. Lunch. Free afternoon to relax. Dinner and overnight at your hotel. Optional: Opportunity to attend a dinner show and Folklore Fantasia. Day8. MARRAKECH / FRANCE: Breakfast, transfer to airport for the different time, assistance with the registration formalities and then off. - Transfers airport / hotel / airport. - The circuit as mentioned in 4x4 Toyota Land Cruiser or Mitsubishi base 5-6 pax. - Accommodation in Hotel 3 / 4 * double room or guest house, according to local standards and in stages. - Full board from dinner on Day 1 to breakfast on day 8. - The tour, visits and entrances as mentioned in the program. - Services of a driver speaking guide throughout the tour. 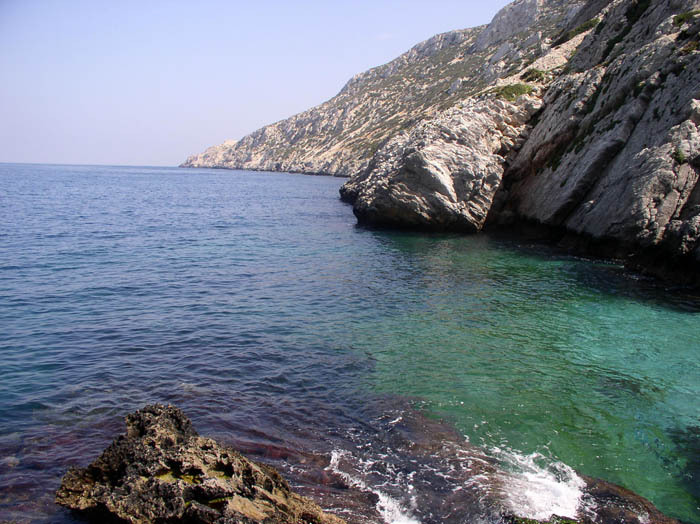 - The services of local guides in major tourist cities. - Assistance from our correspondent there. - Extras and personal expenses.